A new Compiz release has landed in Precise fixing lots and lots of bugs that bugged Unity users for quite some time. As a result of this, overall performance and stability of Ubuntu 12.04 has increased greatly. However, there is one particular bug which has troubled ATI proprietary driver (fglrx) users in Ubuntu 11.04 and 11.10. Because of this bug, frame rate for for entire Unity interface dropped considerably and everything from moving windows to revealing launcher was extremely slow. 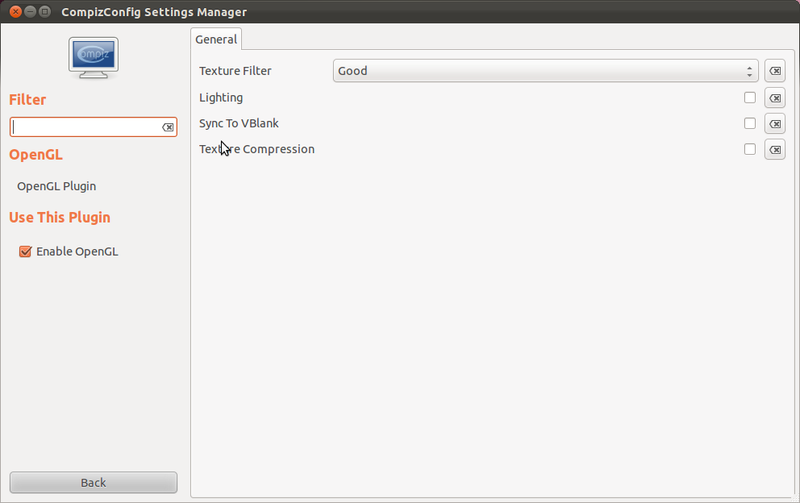 A workaround for this bug was to disable 'Sync to Vblank' in Compiz Config Settings Manager (CCSM). For fglrx the cause appears to be an ATI/AMD driver bug where glXGetVideoSyncSGI and glXWaitVideoSyncSGI are particularly slow, so we can't afford to call both on every redraw or we end up with 1/3-1/2 framerate. For intel and really all drivers, another cause appears to be excessive waiting in the compiz architecture not allowing enough CPU time to draw the full frame before the next vertical refresh. This patch addresses both possible problems, providing optimal framerates with sync-to-vblank support, most of the time.